If the furnace fails during the daytime, you may not at first notice that the problem is a general power outage in your house. Gas furnaces need electrical power to start as well, so make sure you have power to the rest of the house. A common reason for a furnace refusing to come on is a tripped circuit breaker. The blower fan can overload the circuit and cause a breaker to trip. Check your electrical panel and reset any breakers, then try the furnace again. If the breaker problem persists, then you’ll need to have HVAC technicians come take a look to see what’s wrong. 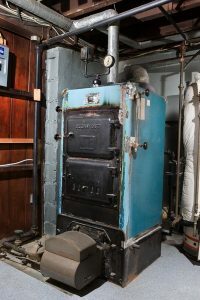 Newer furnaces use electronic ignition systems, not standing pilot lights. But if your furnace is an older model, the pilot light going out may be why the furnace’s burners won’t light. Relight the burner following the instructions on the cabinet case. If the light will not stay burning, or if it’s burning yellowish or red, shut off the furnace and call for assistance. The gas line running to the furnace has a valve on it which you should shut off at the end of each heating season. Make sure the line is open. It could be stuck in position, stopping gas from reaching the burners. You’ve exhausted the basic possibilities—now it’s time to call us. We’ll make sure the trouble is accurately diagnosed and fixed. Please note: if at any time while making these checks you notice a rotten egg smell, then shut off the gas, leave your home, and call the gas company right away. You may have a gas leak! Afterward, you can contact us to handle the repair work. Bob Mims Heating & Air Conditioning: Serving Staten Island’s Heating and A/C needs since 1955. Look to us to rescue your troubled furnace.